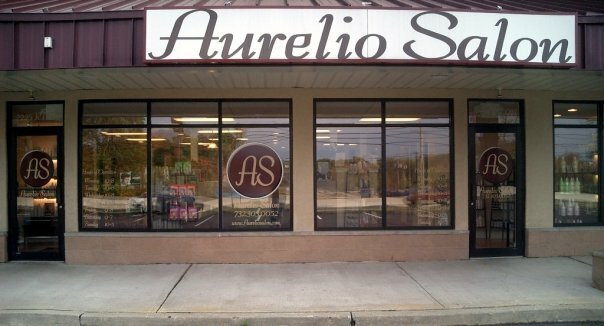 Aurelio Salon and Spa has one of our hair salons in Howell New Jersey. Located in Regal Plaza shopping center on Route 9 in Monmouth County. We offer a number of hair and beauty services and products from Goldwell and Paul Mitchell designed for your needs that you will not find in other salons in Monmouth County. Aurelio Salon is only about an hour from New York City, AC, and Philadelphia and is only about 15 miles from the Jersey shore. Howell Township has been settled in for a very long time. Right around this area is where Lenape Indian tribe settlements were found and contain some of the oldest settlements in North America dating back thousands of years. Howell used to be much larger including present day Farmingdale, Wall Township, Brick Township, and Lakewood Township. There is a lot of history in Howell and Aurelio Salon and Spa is proud to have their business in such a great community. Many of the customers that come to our Howell location are looking for a salon in Freehold, Jackson, Paulsboro or other areas of Monmouth County. It has a mixture of rural and suburban areas and has a family friendly atmosphere with many different things for kids to do. The area has been growing over the past 25 years there has been a roughly 25% population increase since 1990. Many of the customers that come to our Howell location are looking for a salon in Freehold, Jackson, Paulsboro or other areas of Monmouth County. Learn more about the hair and beauty services we offer at Aurelio Salon including information about what’s new. Take a look at our video and picture galleries and find out about industry news and trends on our blog. You can also give the gift of beauty. Gift cards are available in any denominations.. Aurelio Salon, Voted New Jerseys Best Salon*, Visit us any time and receive a personal tour by one of our staff. Call Aurelio Salon in Howell NJ at 732-303-0052 to learn what hair and beauty services we offer to our customers or to schedule an appointment today! 24 hour cancellation notice required or nonrefundable prepayment of services for future appointments will be required.